Veterans Disability Benefits Attorney, David Russotto comments on this article. 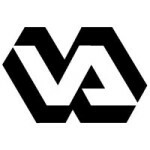 This Article illustrates the real reason nothing changes at the VA and why none of the managers who are responsible for scandal after scandal are not fired…. Federal Employee Unions prevent it! Unions should only exist to help protect employees’ at large PRIVATE companies whose need for profits could easily lead them to take advantage of employees to secure extra profits. Unions should NOT be allowed for Federal Government employees who are paid with tax payer dollars and are supposed to be fulfilling a civil service COMMITMENT to their country!